Meet the owners of Starr Ranch. 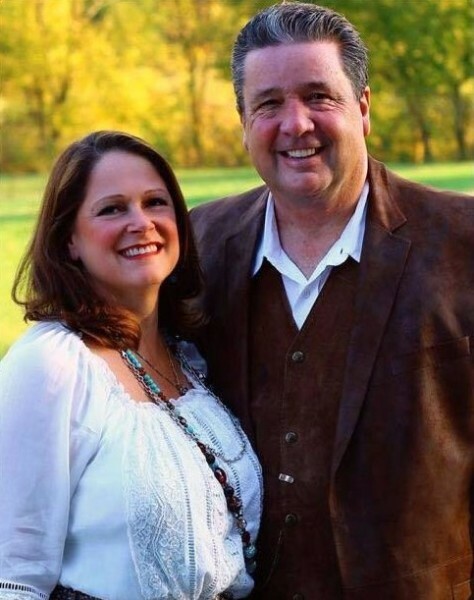 Native Texans, Mance and Gina Huffman moved to Gallatin, TN in late 2002. They were drawn to Sumner County because of its natural beauty and family oriented atmosphere. Upon seeing downtown Gallatin for the first time, they could see the potential of the city. Mance Huffman after retiring from a career in financial services as a CPA and insurance moved to TN and started a real estate company in Sumner County. Mance has an eye for seeing things as they can be and a passion for renovations. Gina Huffman, a Registered Dietitian/Nutritionist, earned her BS and MS in Nutrition & Dietetics. Growing up with an Italian family in the restaurant industry, Gina has always had a passion for food and drinks. Their two passions combined led them to opening Starr Ranch as part of the revitalization of downtown Gallatin. Meet the chef behind the dishes. 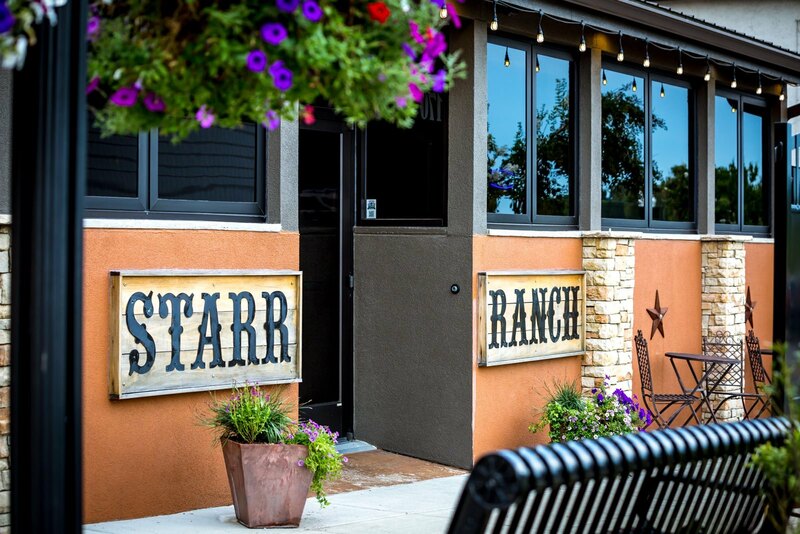 A local native of Gallatin, James Lampley is the Chef and General Manager here at Starr Ranch. 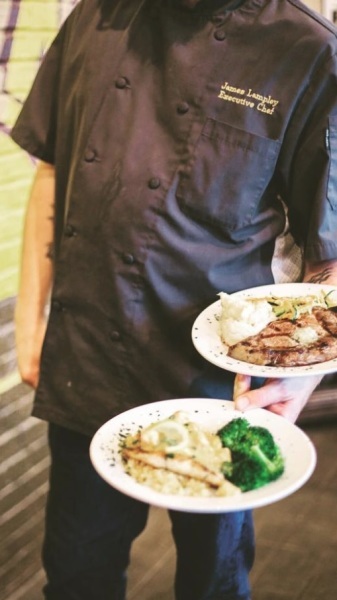 He has over 25 years of experience in the foodservice industry working all over the Eastern United States and Europe and is a graduate of the New England Culinary institute in Burlington, VT. He also attended Domino Carleton Tivoli International School of Hotel and Restaurant Management in Luzern, Switzerland. James is also member of the National Chapter of the American Culinary Federation. He has held every position from Owner to dishwasher (which he still does) in his career and we are proud to have him here. In 2009 a long time tavern became available. Mance and Gina Huffman purchased the building that is now the home of Starr Ranch. In 2012, after major damage to the existing roof, the Huffman’s decided to completely renovate the entire building, taking 3 years to complete. The restaurant is composed of two buildings. The dining room side has a long and varied past ranging from repair of wagons and carriages complete with a blacksmith shop on the side of the building. Horses were said to be pastured out back. It’s been reported that the building housed many ventures, ranging from a cab stand in the 1970’s to a myriad of beer taverns, the last being The Ranch. The bar side of the restaurant was built in the late 1940s as a black social club and later became a pool hall. The name Starr Ranch is a funny story. When Mance told his parents, Jack and Betty Huffman, that he was going to ask Gina to marry him, they informed him that she had to “pass ranch”. Gina met them in 1995 at their family ranch in Pontotoc Texas & she passed with flying colors. 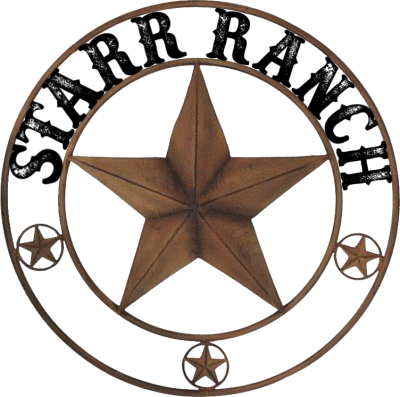 The word Starr represents the lone star of Texas as well as the three stars of Tennessee while Ranch represents the Huffman Ranch.